MASQUE YOUTH THEATRE are performing TOO FAST by Douglas Maxwell on Saturday March 25th at 7pm in the Junior Hall at Northampton High School. The Junior Hall can be found by turning right immediately after entering the school grounds and driving in front of the main part of the school until you reach the last car-park. The venue is accessed through some blue metal gates on your left. Tickets cost £5 for adults and £3 for U16s and are available on the door. Doors open at 6.40pm. A little about the play – Sensation Nation is a vocal group founded and led by the unstoppable DD. Her grand plan is for the group to storm next year’s Britain’s Got Talent. But first they need a gig, and more importantly a heart-breaking backstory that will win them votes later down the line. So she’s booked them in to sing at a funeral. And not just any funeral either. Sensation Nation is to sing at the funeral of Ali Monroe, an older girl from their school who was killed in a car crash. 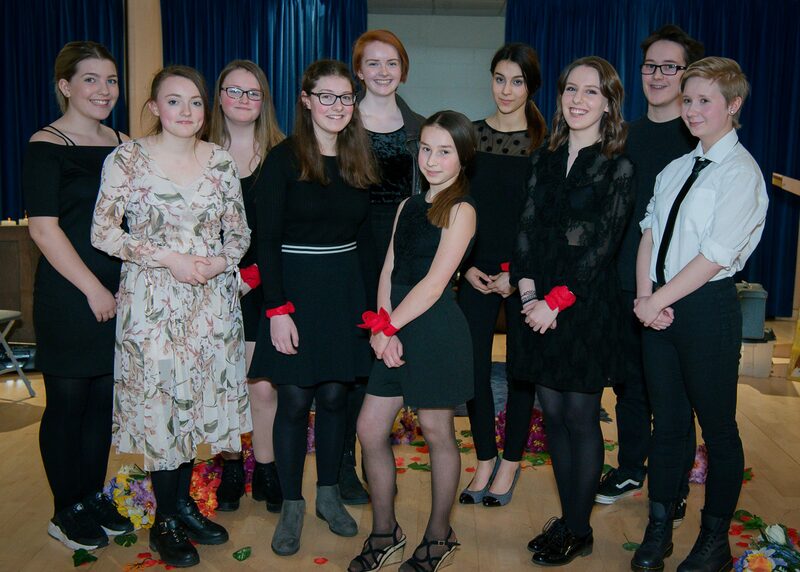 It is a play written specifically for young people aged 13-19. As such there is some “colourful” language and thus the performance is perhaps suitable for those aged thirteen and above. The performance lasts about 50 minutes and there will be tea and coffee served afterwards.